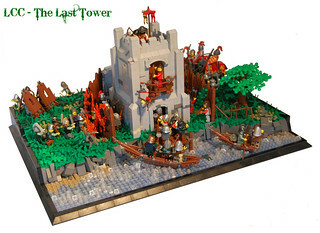 In the shadow of Illianaro Castle. Last edited by andhe on Mon May 20, 2013 8:25 am, edited 3 times in total. 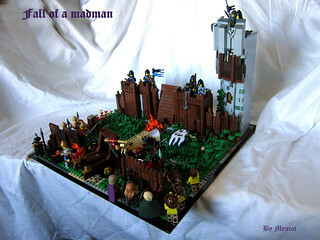 "The fall of a madman"
Original build was made by "Sir Tharkin" a can be found here. Please read the story on my Flickr. I did not realize Garheims colors were blue and dark blue (thought they were blue and white) until it was too late. In the event of the deadline not being extended until Monday or farther, would it still be permissible for me to change those colors prior to taking other (more) pictures? And if so, could I edit this post with an updated overall view? Thanks! Ended up spending my entire Saturday in another city helping a relative move in to his appartment (didn't get back till 10:00 p.m.). Even if I manage to finish the build by Sunday, there's no way I'll be able to snap photos of it before daylight is gone. Any chance you could extend the deadline to Tuesday? Andared of Lenfald wrote: Ended up spending my entire Saturday in another city helping a relative move in to his appartment (didn't get back till 10:00 p.m.). Even if I manage to finish the build by Sunday, there's no way I'll be able to snap photos of it before daylight is gone. Use an area with a light fixture to take your photos. 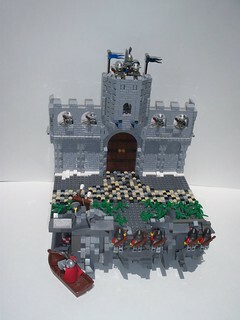 LCC is one talented castle group! Haha! 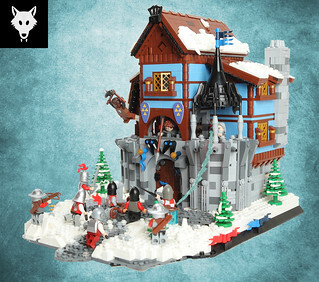 Looks like you have a nice castle to fix up. I'm afraid we're not going to be extending the deadline. But if you want you can post a "preview" or "placeholder" picture before the deadline and take better photos of it a little later. 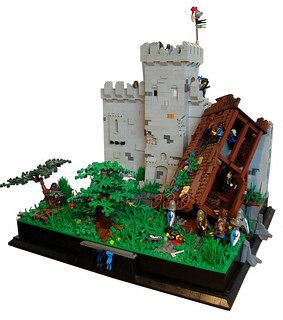 Here is a link to the story (on the forums). 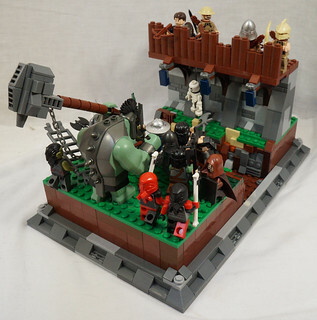 Original MOC: (LCC Garheim) Preparing for the worst. Weeks ago the Royal Guard discovered documents that prove the involvement of the Areani in the assassination of the King - a note written by Antonius Renard, councillor of Dalmunatha, sanctioning the regicide. Renard is of high standing and has always been a respected man among the aristocracy. But actions like these demand consequences - the Order Of The Shadows, loyal to no single leader but only to Roawia and it's citizens, set out to eliminate Renard before he can cause more damage to the realms. Grant W. wrote: Use an area with a light fixture to take your photos. Regrettably, using the light from a regular lightbulb tends to leave a yellowish tint on the picture. Since the contest deadline can't be extended (for reasons unknown? ), I guess I'll have to settle for that though. 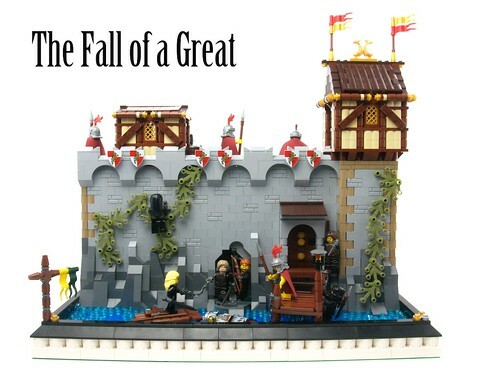 For the story please check out the MOC thread. I was assigned Mark of Falworth's A Test of Strength. We were assigned to keep an eye on one of the watchtowers recently built under the orders of Mark of Falworth. 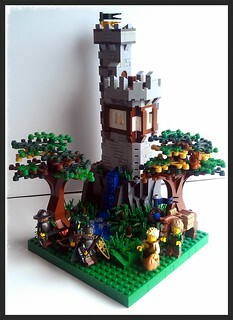 It is suspected that they will use this particular tower as a staging area for an attack on Lenfald. 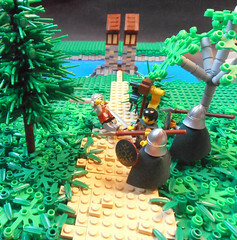 On the second day of our stakeout a Loreesi soldier came across the river and into Lenfald land undoubtably to scout ahead for the attack. He caught a glimpse of us and were were forced to dispose of him before he warned his comrades. Unfortunately, when he does not return, the Loreesi will know we are out here. Despite our actions we have not stopped the inevitable. 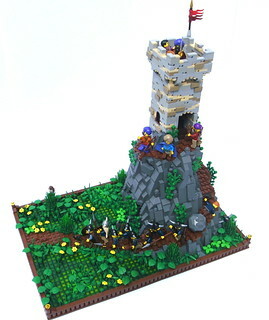 An invasion of Lenfald will occur very soon from this very tower.